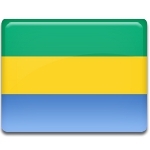 Gabon is one of the most developed and politically stable countries in Africa, but the patriarchal traditions still influence the Gabonese society. Despite the fact that many women occupy senior positions, they are still discriminated in the areas of divorce, marriage and inheritance. Celebration of National Womens' Day aims to recognize contributions made by women to economic, political and social achievements, as well as the struggle for their rights. Rose Francine Rogombé made the greatest contribution to the struggle for women's rights. She served as Secretary of State for the Advancement of Women and Human Rights in the 1980s, but later she temporarily left politics. In 2008 she was elected as a municipal councilor in Lambaréné and eventually became a senator from Lambaréné. Following the next elections, she became President of the Senate. Following the death of Gabonese President Omar Bongo Rogombé became Acting President of Gabon, the first female head of Gabon.